TapRooT® TV, Wednesday, 2-13-19, noon EST: What is the 2019 Global TapRooT® Summit? Ask yourself this question, What is your highest priority for 2019? Join the live conversation this Wednesday at noon EST as TapRooT® professionals address issues, discuss problem-solving and how you can improve your own human performance and that of your organization. 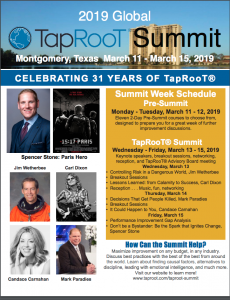 This week, you’ll gain insight into the 2019 Global TapRooT® Summit from TapRooT® professionals Benna Hughes and Mark Paradies. 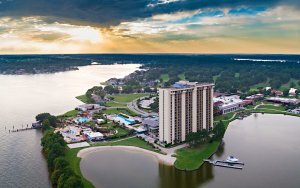 Register now for the 2019 Global TapRooT® Summit, March 11-15, 2019, in the Houston, Texas, area at La Torretta Lake Resort. 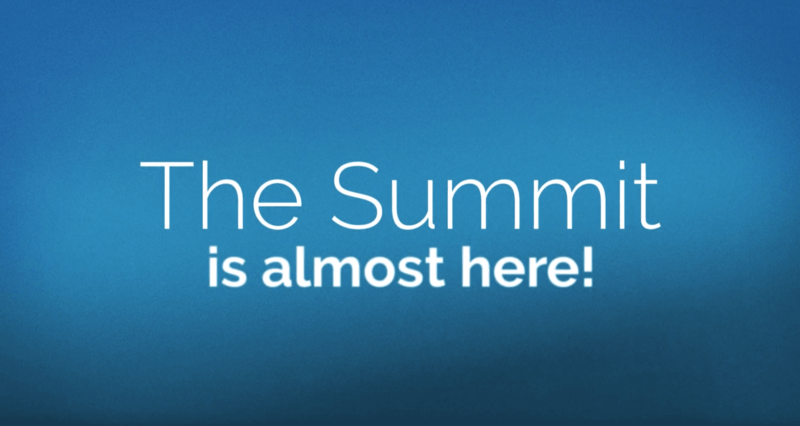 The Summit is the one conference you don’t want to miss this year.